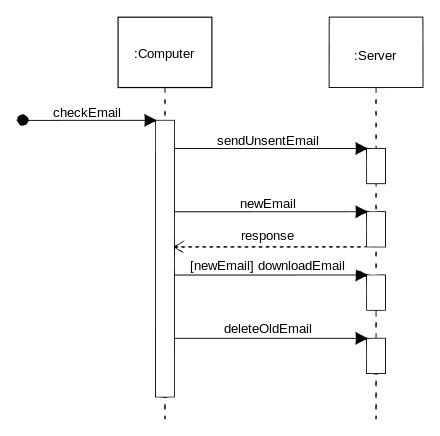 ∟What Is a Sequence Diagram? This section describes the UML Sequence Diagram, which presents interaction behaviors of multiple objects by showing communication message interchange sequences between them. What Is a Sequence Diagram? A Sequence Diagram is a diagram that describes interaction behaviors of multiple objects by showing communication message interchange sequences between them. In the OMG UML 2.4.1 specification, Sequence Diagram is referred as: Sequence Diagram focuses on the Message interchange between a number of Lifelines. ►What Is a Sequence Diagram?